On July 27th, university student Aoi Hinata (Miwa) has an accident. When she wakes up, Aoi Hinata finds herself in a classroom from one week before the accident. 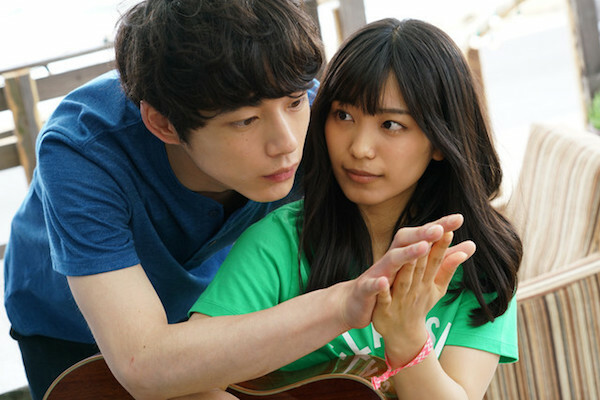 At that time, her childhood friend Riku Hasegawa (Kentaro Sakaguchi) tells her "I will tell you a secret. I can turn back time." Aoi Hinata and Riku Hasegawa like each other, but never expressed their feelings. They share their feelings for each other and go back to one year earlier. They spend their time happily as girlfriend and boyfriend, but there is a big secret behind the time slip. In addition, July 27 is approaching. Elsa Jan 15 2019 1:11 am Omg, such a good movie with sad ending but happy! 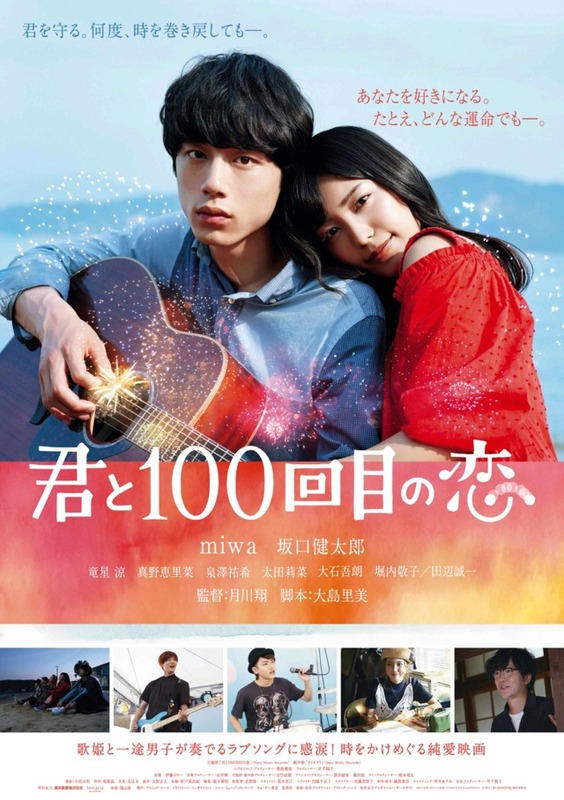 I love Kentaro Sakaguchi's acting it's superbbb, oh my this movie make my heart melttttttttttttt meltttttttttttttttt meltttttttttttt shitttttttttttt why Japan always make such a good movie? Damn I love it!!!!! Ayumi Oct 12 2018 4:14 am Hwaaa Kentaro-kun? candy Sep 20 2017 11:30 pm Can someone know the song during the scene that Riku said he loves Aoi?I love it so much. Half of this movie cant help but cry..the movie is worth watching. myxblush Sep 15 2017 11:55 pm Kentaro is such a cutie!!! Can't stop looking at him. Such a good actor. im sorry but the actress was awful and annoying, I know she's a singer but man I couldn't stand her voice. Saky Sep 15 2017 2:01 am Honestly the actress was a bit awkward for me at first but I stayed for Sakaguchi and I AM SO GLAD I DID. It was beautiful and I cried so much. Definitely worth a watch, or 2 or more!! My heart is so full. Kaikai Jul 02 2017 1:12 pm Seo Kang-joon is that you? Ommmmooo! They're like a twins!! Kuro Feb 24 2017 1:05 am So does anyone know the release date?? CucumberSalad Dec 25 2016 9:10 pm Sakaguchi is so dreamy! !He is tall,handsome and has such a nice voice!So glad he is getting main role for this movie!Can't wait for it!!! Hana Dec 08 2016 11:14 am I will be waiting for him to get main role lead!!!!! 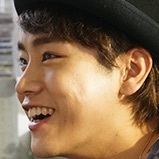 omg he soo handsome for japanese guy actor that i have been watched lately..!he deserve to be the main!! Waaaa!!! I cant wait to see him!!! He so handsome..somehow he does look like seo kang joon! wanda Nov 04 2016 6:36 pm Ouuuuuhhhhh my sugar!!!!!!! Have been centuriessssss...waiting his lead role!! He deserved thatttt!! 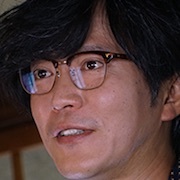 Kentaro sakaguchi..after this u gonna be japan new real super star actor. I ensure it..whose gonna nof melt with those handsome face puppy eyes and deep male vlice of yours???? He is so talll toooo..perfect! bee Sep 16 2016 5:59 am Woww!! Cant wait to see Kentaro as the hero!! eve Sep 11 2016 1:20 am finally the lead role he deserves !! jeje May 17 2016 8:12 am yeaaahhh first lead role!! and there will be lina ohta. ayeee sir!! lala Apr 20 2016 3:56 am wooooowww...cant wait this movie!! Tim Port Apr 19 2016 3:21 pm So he starred in her music video and now they are starting a movie together. resty Apr 12 2016 3:05 am waaahhhhhhhh......kentaro kentaro !!!! rilchan Apr 07 2016 4:59 pm Aaagrrrh finally kentaro bcone a lead make yuhuuuuuu cant wait this movie !!!!! DianMikura Apr 07 2016 5:18 am Both are my favorites! I'm so ready for this!